Could you tell us a bit about yourself, what you sell at Cloth + Cabin and how you got started? We (Meredith and Amy) are two former corporate cubicle dwellers, turned full time moms, fast friends and business partners. Cloth + Cabin is a Michigan based online women's clothing and home decor boutique with a killer farmhouse-meets-boho vibe. Classic neutrals, cozy textiles and clean design define us and our brand. Our little business (read: BIG dream) was founded on the premise that women's personal style is reflected in both fashion and decor, not just one or the other. One of us (Meredith) is a former online shopaholic and self proclaimed fashion zealot. The other (Amy) is a fixer-upper fanatic, an unapologetic white sofa owner and the resident home girl. Together, we are Cloth + Cabin. Neither of us has a background in merchandising. We had absolutely zero connections within the industry nor did we have any knowledge about projecting inventory levels. Initially, we had to start by pounding the pavement and doing some good old fashioned research. After compiling a list of brands that we were interested in, we simply contacted them one by one requesting a wholesale account. The response was overwhelming, but not without a few barriers to entry. A handful of brands turned us down based on the fact that we were online only and not a brick and mortar store. Others indicated that their contracts with other local businesses prevented our ability to move forward with the brand. In the end, we had hundreds of options and absolutely no lack of variety or inventory. We sent old fashioned invitations to friends, family, local social media influencers and small shop owners for our launch party. Of course, we also heavily promoted the event on social media. Over 300 people turned out for the event, which also created quite a bit of local buzz. After that, we put our marketing plan into effect which was heavily focused on developing relationships with social media influencers nationwide that initially inspired us. That’s fantastic! Any advice on messaging or other tactics that you believe contributed to that buzz? We partnered with several local vendors and like-minded creatives to make the evening more of an experience. That night we realized what an amazing community we were being welcomed into. People who we had never met jumped right in and wanted to be a part of what we were building because they loved the concept, understood what it meant to start a small business, and wanted to show their support. Wow. That is a loaded question! First and foremost, we are mothers. With 7 children between the two of us, the ever constant work/life balance remains a struggle. Beyond that, we are proud to be self-taught entrepreneurs. Everything we do is done by the two of us. From our branding, to our website, to our packaging, to our inventory, to our photography, to our financials. Many, many sacrifices have been made by us and our families to help us realize our dream. We definitely didn’t know how much work this would take when we started. But we would do it all over again if we had to. The fact that Shopify offered an ecommerce and POS system all in one, as well as the fact that almost every app was guaranteed to integrate with Shopify. Shopify seemed like the industry standard and market leader. Taking an idea and developing it into a functioning and profitable business is not for the faint at heart. There are so many elements that go into it, and numerous decisions that need to be made. Everything was a risk considering we were investing our own money. We had to be ready to pivot at any given moment. We wish we would have been prepared for the emotional roller coaster that Cloth + Cabin was going to take us on, and the lack of sleep. It was almost like having a newborn again! * Affiliatly - Used to track affiliate sales and commissions. We’re in a growth phase. Affiliatly was appealing because it felt like as we grew, they could grow with us (their monthly subscription is based on the number of registered affiliates). 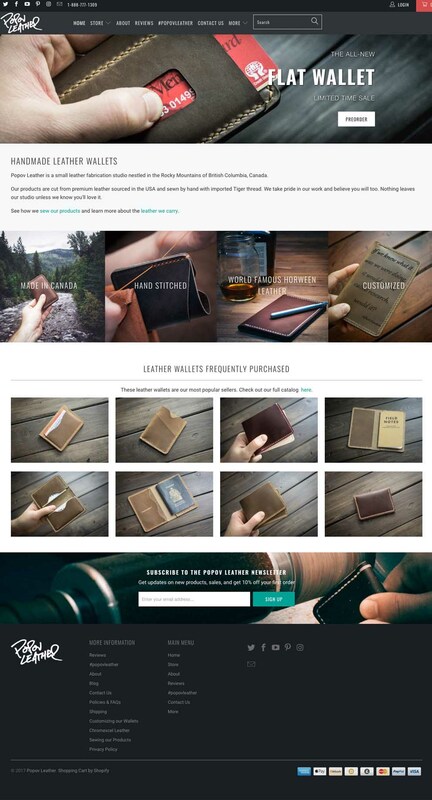 * MailChimp - When people visit our website for the first time, they are invited to become Cloth + Cabin Insider. After subscribing they are immediately sent a coupon code for their first purchase. 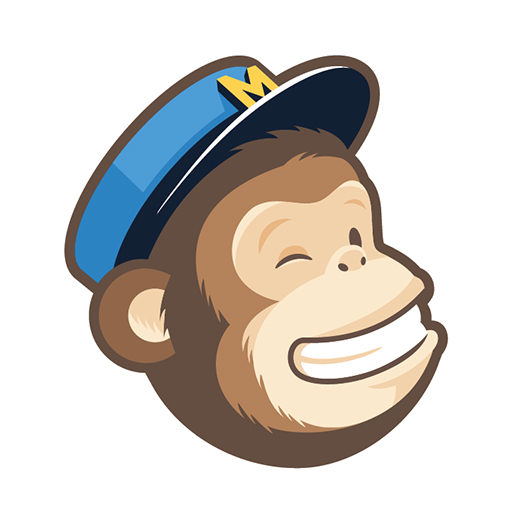 Building and serving our Cloth + Cabin Insiders wouldn’t be possible without MailChimp. Trademark – The simplicity of the design felt like the best fit for our brand so that the products were the focus of the website. What strategies have you used to attract more leads and grow Cloth + Cabin? We focus heavily on serving our email subscribers. We’re always trying to provide them with value (discount codes, giveaways, early access). The more we can grow that list, the better. We also have developed quite a network of social media influencers that we collaborate with to showcase their favorite Cloth + Cabin pieces. And, we recently launched an affiliate/brand rep program. A significant amount of our time is spent in Pinterest developing our boards and pins to attract our ideal client. Recently, we have hired a media firm to handle Facebook/Instagram ads as well as SEO. How have you been successful at finding and collaborating with social media influencers? Any advice? The influencers that have had the honor to work with are the exact same people that were the inspiration behind Cloth + Cabin. So, we knew there was a segment of women interested in exactly what we had to offer. When the time was right, we reached out to each one individually and prayed they loved what they saw. Luckily, they did. We’re so thankful for the relationships we’ve been able to foster. By focusing on the relationship, and not the financial gain that would result from the collaboration, we plan to share long term success with each influencer. What about with Pinterest? Any strategies or tips to share? Gosh, we’re still learning ourselves, so don’t claim to be any sort of expert on the topic! But, one thing is for sure. Pinterest is ever-evolving and we’re specifically interested in the recent introduction of promoted pins. We fully expect to increase website traffic by developing a solid Pinterest plan within the next several weeks. Instagram! We love engaging with our followers and seeing how they style their new Cloth + Cabin pieces. Over $200,000 in sales in first year. Knowing our customer, and curating products that they would want. We know our brand, and we stick to it. We are working on continuing to develop our brand awareness among social media influencers as well as driving organic traffic to the website. Our mentor through the SBDC of Michigan has been an excellent resource. Simple. Find out what makes you unique, and exploit it. Great advice! Where can we learn more? Our website is www.clothandcabin.com. We also have a presence on most of the major social networks, including Instagram, Facebook and Pinterest.